It’s often said that one of the great things about running is that ordinary athletes participate in the same races as Olympians, world-record holders and other elites. You’ll probably never play in the same hockey game as Sidney Crosby or enter the same golf tournament as Tiger Woods, but you can run the same marathon as Wilson Kipsang, as some 400 Canadian runners did when he recently set the new world record in Berlin. Running the same course on the same day as the world’s best has some appeal for me, but I’ve never been very focused on the elite athletes in the races I’ve entered. For one thing, you usually don’t get to see much of them. In my first marathon, I was a little past the halfway point, starting a 20-kilometre out-and-back along the Rideau Canal in Ottawa when I heard the finish-line announcer across the water welcoming the leaders. I was travelling the same route as the winner, but we were running two completely different races. 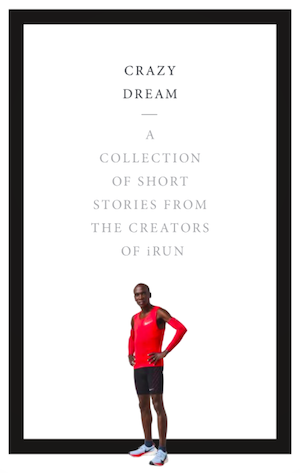 For me, it’s sharing the journey, and not the course, with world-class runners that is inspiring. When I talk to an elite athlete, I’m often amazed by how much of their approach and experience is similar to mine or that of any other runner. 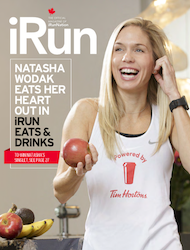 Just a few days after both she and Lanni Marchant broke Silvia Ruegger’s marathon record for Canadian women, I chatted with Krista DuChene. She ran her first marathon in roughly the same time as my personal best; today, she would finish roughly an hour ahead of me, enough time to go to her hotel, shower, grab a snack and return to watch me cross the line. But even though I couldn’t keep up with her for longer than half a kilometre, I can relate to Krista’s story. She juggles training along with work and family commitments, just like so many of us. She sometimes gets up in the wee hours of the morning because it’s the only time of the day when she can run. If you’re training for a marathon, you might not run quite as hard or as often as an elite athlete, but your training programs will look somewhat similar. If you’re a recreational hockey player, you don’t practice several times a week like an NHL star. And as I and so many other runners try to hit a qualifying time so someday we can go to Boston for the first time, Krista is trying to meet the time standard so she can compete in her first Olympics. She’s now thinking ahead to the cycle of marathons during the qualifying period to give herself as many opportunities to run as possible. She’s looking at course profiles, local weather and other factors at several marathons to give herself the best chance of succeeding. I’ve been going through exactly the same process. Even for elite runners, finding the right marathon isn’t just about the course and the weather; it’s also about fitting it in around the rest of your life. 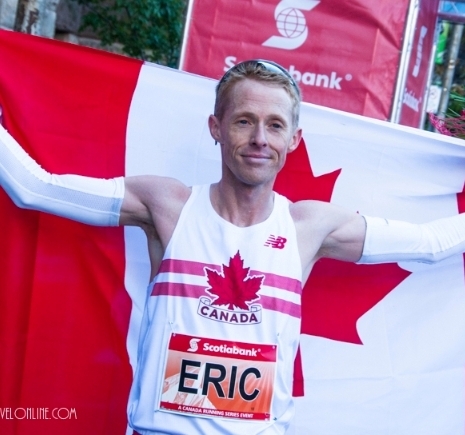 Olympic marathoner Eric Gillis and his wife are expecting their second child so that’s a factor in his plans for another fast marathon. You can’t run your best if you’re getting up every night to change a diaper. As Krista says, when the margin of error is small, you need almost everything to fall into place perfectly for you to meet your goal. Since there are many factors beyond your control, you try to influence as many of them as you can. That’s true whether you finish a marathon in two and-a-half hours or in five. Like me and thousands of other runners, Krista and Eric are simply trying to run the best race they can on one specific day. We travel at different speeds. But we are all on the same journey. Mark Sutcliffe is the founder of iRun and the author of Why I Run: The Remarkable Journey of the Ordinary Runner.